What really matters: How Modi's SAARC move is both Calculative and Foresighted ? How Modi's SAARC move is both Calculative and Foresighted ? Modi is going to be sworn in the Prime Minister of the Nation on Monday 26th May 2014 at 6 PM. In the ceremony that is going to be held at the Rashtrapati Bhavan, invitations are being sent to the guests suggested by the Modi's office through the Rashtrapati Bhavan. Even if we do not ponder on the depth and the dimensions of the move, it looks like a step in the right direction. 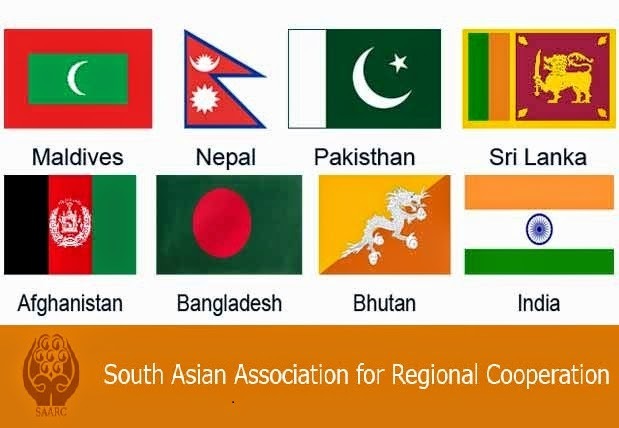 India is too big a nation to ignore it's neighbours and not play a leaders role in the region; something that it was doing since decade and which has therefore tarnished it's image and supremacy in the world and especially South Asia. So, firstly, this move is commendable as a step towards restoring that image and also for taking SAARC to a meaningful position. Puting Sharif in a fix. Secondly, extending an invite to Sharif as well, as a member of SAARC nation has many dimensions to it. One is not giving Pakistan any undue importance at the very beginning of the Modi era. Which otherwise would have been the case if only Nawaz Sharif was invited. Another dimension is putting Sharif in a fix by extending him a invite knowing that it would be difficult for him to personally accept the invite as PM Manmohan Singh refused similar invitation extended by Pakistan at the time of Sharif's swearing-in ceremony. Even before the results of the 16th Lok Sabha Elections were out, there was a huge uneasiness in Pakistan over the possible crowning of Narendra Modi as the next Prime Minister of India. BJP is perceived as pro-nation party with an image of having an ideology which is capable of taking strong steps when provoked. Be it the Kargil War or the Nuke test of Pokharan; BJP has certainly added feathers in the cap of the National strength. This image get magnified many times when the name of Modi comes into picture. Another dimension of pro-hindu leader emerges which further increases the heartbeats of our neighbour. In this backdrop, it is only suitable for Modi to project his willingness to work towards cooperation and peace with Pakistan though this step. In future, if there are any unfavourable circumstances because of seize-fire violations or terror attempts, Modi will be in a position to tell the world that he tried for peace but it did not work. Whether Pakistani PM chooses to come himself or send his representative is secondary; the main thing is that Modi has made his first move which is no less than checkmate for many. Even Congress and Omer Abdullah are praising Modi for this move! Future is going to be interesting.